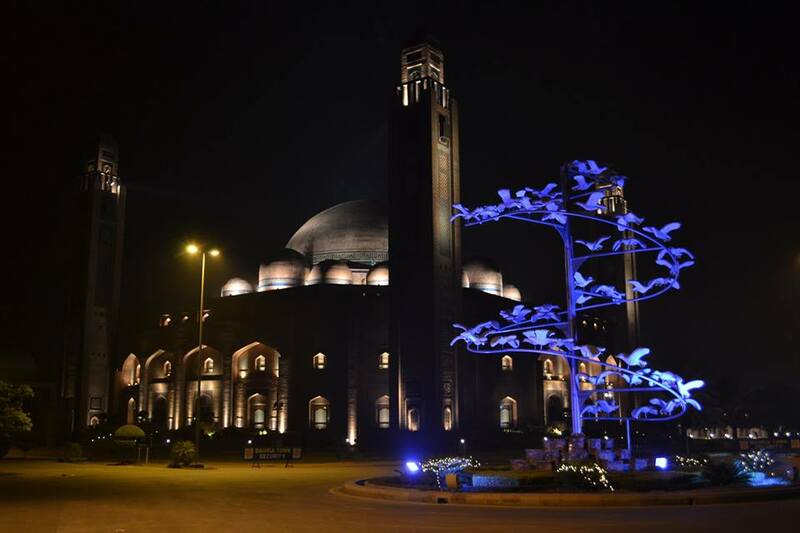 The Grand Jamia Mosque in Bahria Town (Lahore, Pakistan) is a marvelous latest addition to other historical landmarks of the city. 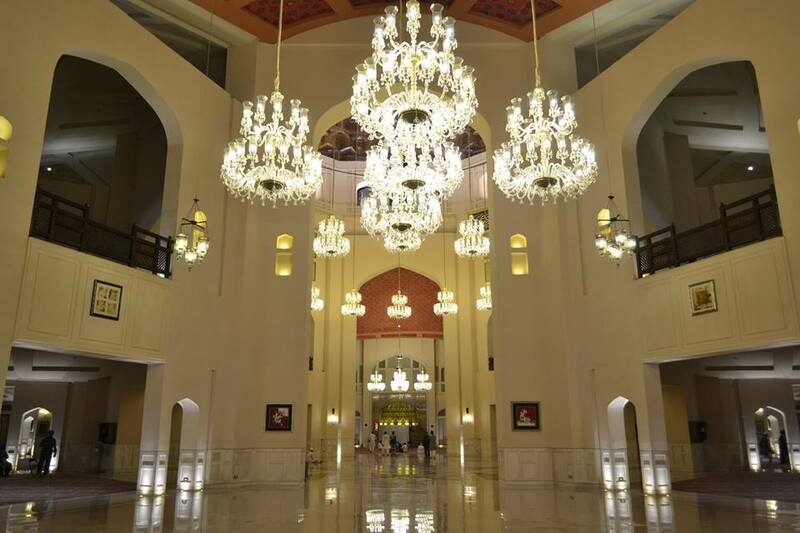 With a capacity of 25,000 worshipers inside main hall, it can accommodate a total of 70,000 worshipers considering its courtyard. 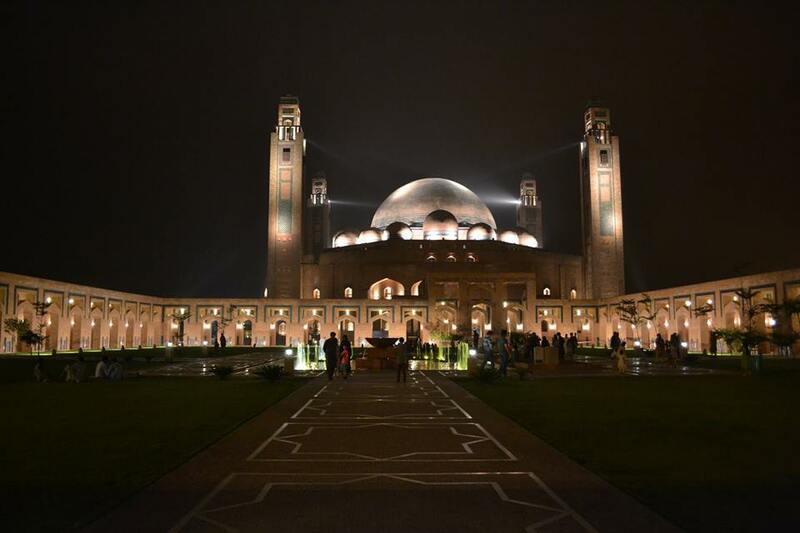 This makes it Pakistan’s largest mosque till date in terms of indoor capacity yet Faisal Mosque in Islamabad and Badshahi Moqsue in Lahore are considered Pakistan’s first and second largest mosques respectively. An outside view of the mosque. 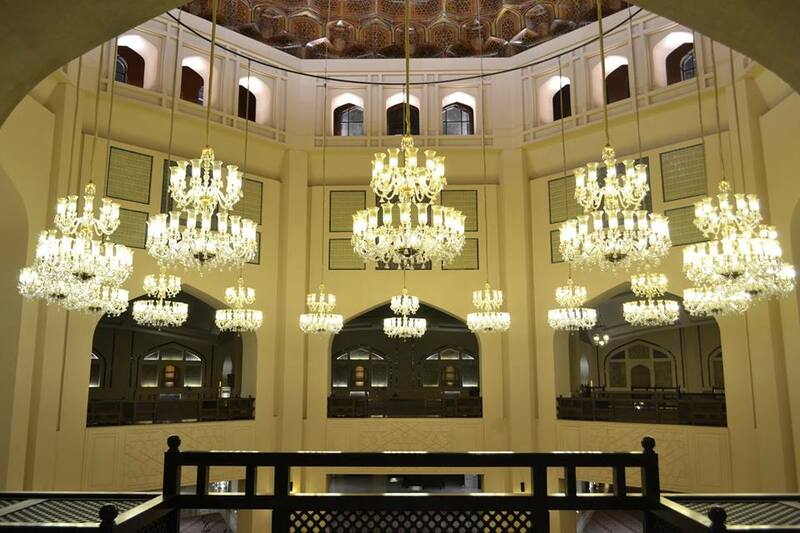 Part of first floor of the mosque is women only. There’s a dedicated door for women although whole mosque is accessible to both men and women. First floor of the mosque. 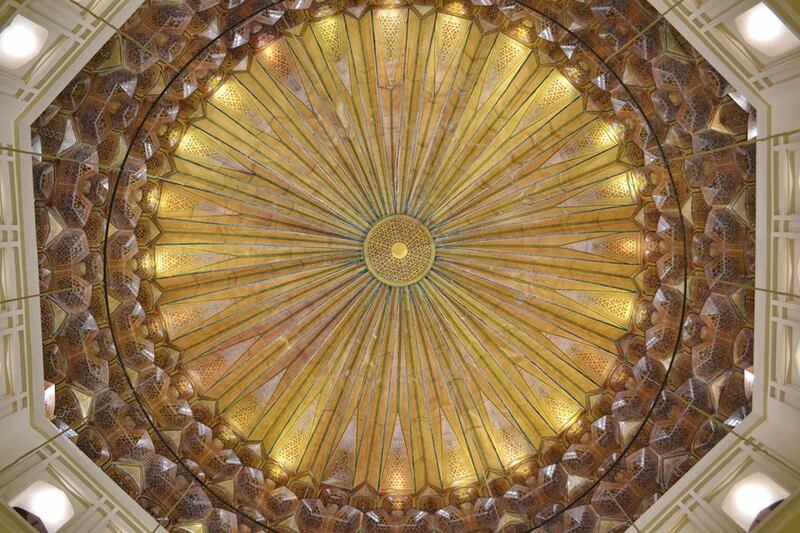 The main dome of the mosque. 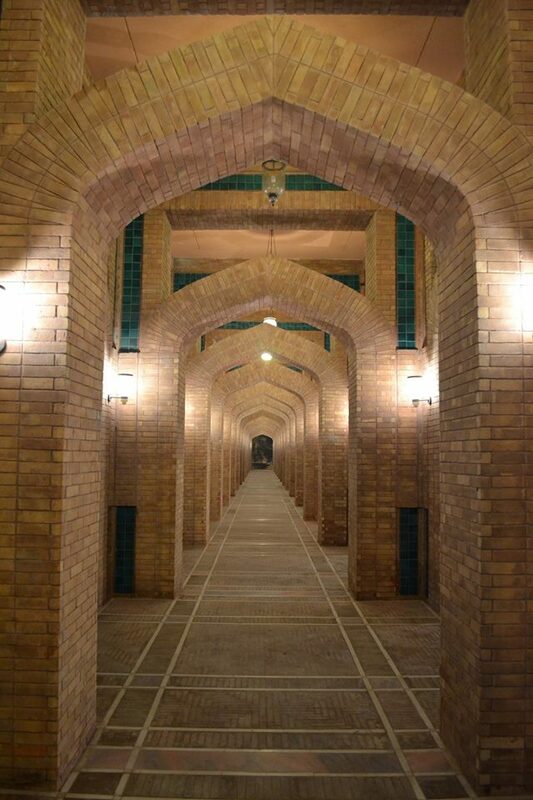 Walkways surrounding courtyard of the mosque.